The Bogner Linos2 Insulated Ski Jacket is the perfect blend of sport, functionality, and comfort that junior skiers need to be their best on the hill. 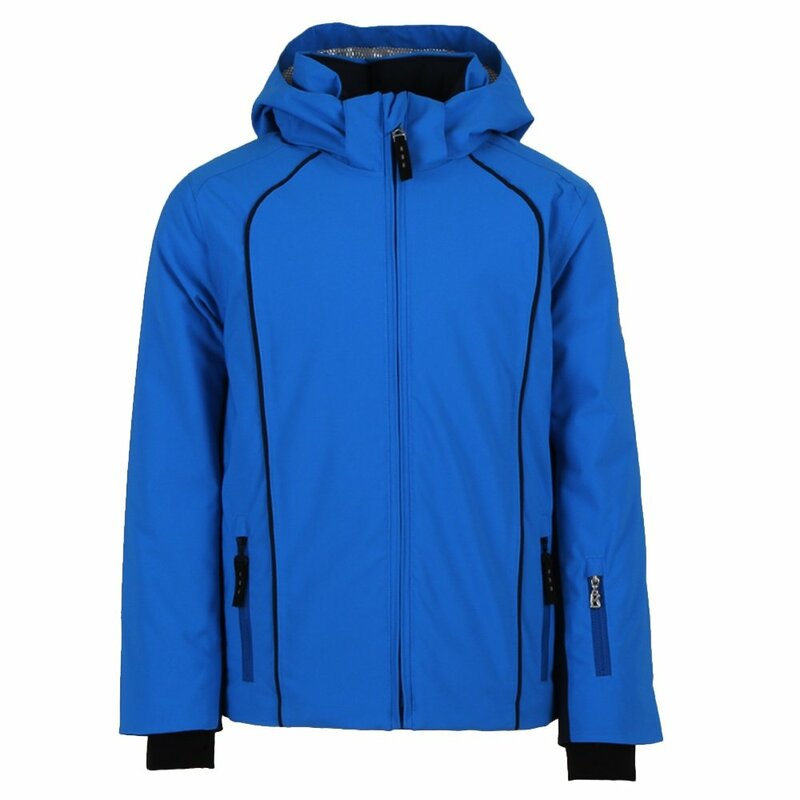 This ski jacket for boys has 80g of insulation, the perfect amount for slightly smaller bodies to stay warm day after day. But because it has side stretch panels under the arms, it manages to not be bulky. Design-wise, boys will love the famous Bogner racing stripe/flame combination on the center of the back. The Bogner Linos2 Ski Jacket also has a wind placket to keep him warm and a 15K waterproofing rating, able to keep him supremely dry.